Next month is the annual CP+ Camera show and it’s where Canon likes to showcase what’s coming up in camera designs. This year a 4K EOS M50 Mirrorless camera looks to be on the agenda, and we may get to see it in just a few weeks. Not much is really known about the EOS M50, other than it will use an APS-C sensor and will shoot 4K. But Canon Watch has noticed that Canon has registered a Bluetooth 4.1 specification for certification in the camera design, so that is also a possibility. Additionally, the nameplate for the Japan market is “Kiss M,” which has been traditionally referred to a DSLR design camera. 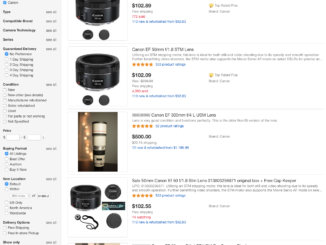 This is leading many to scratch their chin and wonder if Canon is going to make a mirrorless camera to content with the micro four-thirds Panasonic GH5 and the full frame Sony α7R II. If so, they have a large challenge ahead of them since both camera lines have matured into their next generation, with the α7s even going to level 3. More likely, the Watch says the EOS M50 will be a spinoff of the M5 line, but will have fewer features. But why wouldn’t Canon put 4K in an M5 Mk. II with more features as well? 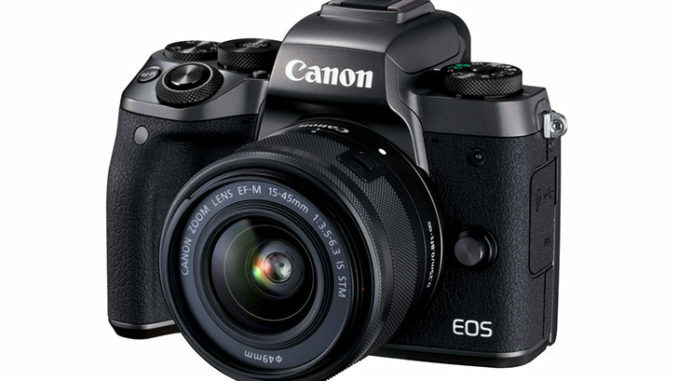 The answer could be in the past, as the EOS M100 replaced the M10, so it makes sense that the M50 would mean that the venerable M5 will be discontinued. 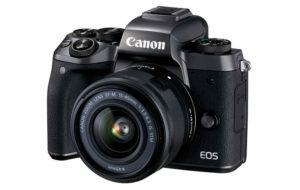 When Canon did that with the M10, sales shot the mirrorless camera into the top tier, so why not do it again with an M50? And since it’s likely to be a camera with fewer features, I rather doubt we’ll see one with Raw support or dual pixel AF. 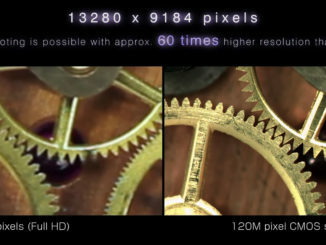 One thing is for sure, Canon needs to move away from their reliance on H.264 AVC compression and embrace the higher end HEVC codec. I’ve always considered it a head scratcher that Canon is part of the HEVC Spec group, but has yet to adopt it formally in their 4K line. So Canon has to play catch up with other mirrorless cameras in this category and they have a long way to go if they want to keep up with Sony and Panasonic. 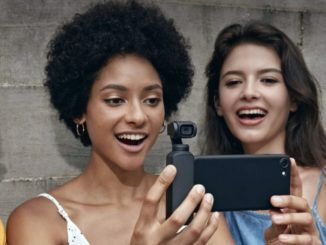 Price is expected to be very under $500, and the M50 will be aimed at the market looking to move beyond shooting instagram on your smartphone, but not really wanting to drop over $1000 on a DSLR and lens combo kit. The price of the M100 in the US is $599, so I would imagine that an M50 with fewer features would be under $500. And while adding 4K will be a nice feature, the Canon M line is still primarily a still shooters camera. Then again, they have been talking to pros about what they would like to see in a 4K mirrorless camera, so could this be it? I think the timing doesn’t match up for that, and Canon is probably designing something else. At the end of the day, Canon would really have to come out with something remarkable in the mirrorless category to get everyone’s attention, and we all know that they are just too conservative to do something like that, preferring to leave the risk taking to the competition. So don’t go selling your GH5 just yet. Doddle Movie News Digest: Marvel Edition!